Guided by Mardi Michels, this Friday the Doristas are participating in Food Revolution Day. Food Revolution is a movement started by Jamie Oliver to inspire parents, kids, teens, workers and everyone else to get back to basics and start cooking good food from scratch. This year he chose “getting kids excited about food” as the theme for Food Revolution Day, which is today and our charge from Mardi is to share a recipe from Around my French Table that we think every child should know how to make. Now my son is only two and a half so I wasn't really thinking of making a meal when I signed in for #FRD2014. The idea was to make something simple that would give the little boy a feel for cooking.. Since last January, we have been experimenting with a lot of recipes. Mostly smoothies and some muffins like this Chocochip Cherry 'n Coke Muffins whose ingredient list alone was good enough to excite him. Keeping his familiarity with the blender and his love for apple and cheddar in mind, I thought Hummus and Savory Cheddar Chive Bread with chunks of apple would be an exciting for him. And I was right. He enjoyed the process of making both. However something about the bread was not right so I decided to keep it off the post and talk about hummus today. And if you are like me, you could simply sit with a spoon and your bowl of hummus and call it a meal.. Thanks Mardi for involving us in #FRD2014. This was fun ! 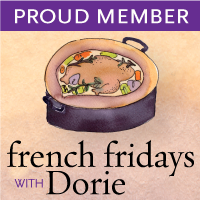 Visit French Fridays with Dorie to know the recipes from Around my French Table that other kids found exciting ! Your little guy is adorable!! 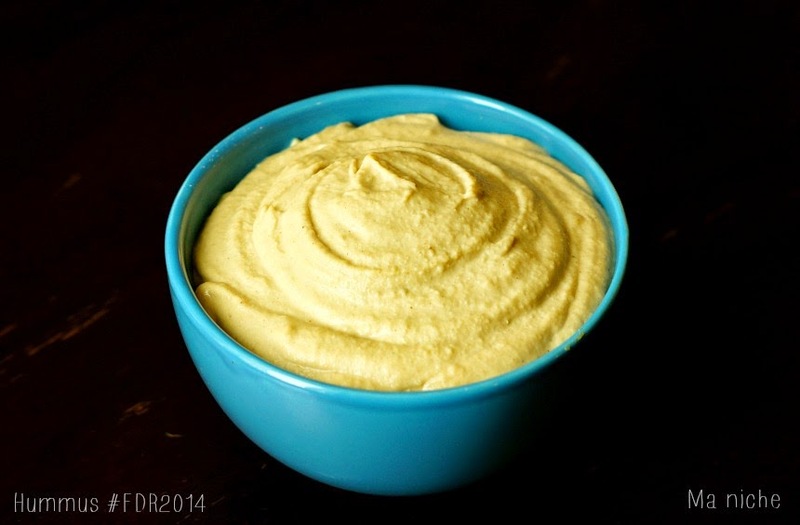 Hummus is a wonderful choice to make with kids…my grandkids love it and make it quite often with their mom. Such a healthy snack! Great choice! I love seeing photos of your little man in the kitchen! 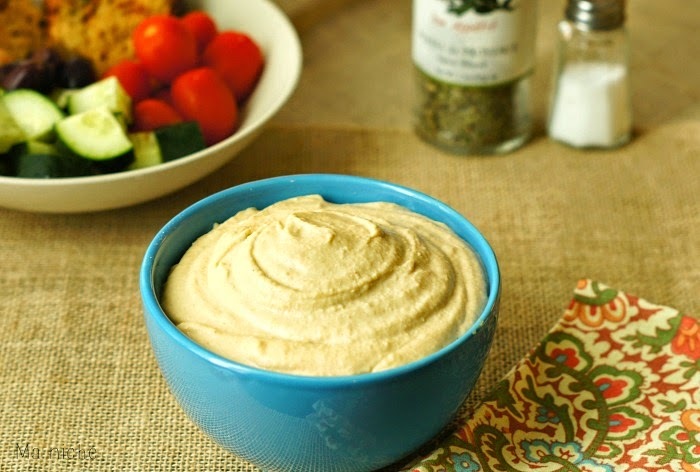 And you're right - hummus is a fantastic recipe to have in your recipe repertoire! So much better than store-bought! Thanks for participating in FRD2014! Your son is precious.. WOW. Hummus was a perfect idea for his age.. he got to see transformation and he got to dip. Dipping is always fun and you got him eating healthy foods both the hummus and the veggies... brilliantly done. I think hommus is a great idea! Glad your little boy likes it. 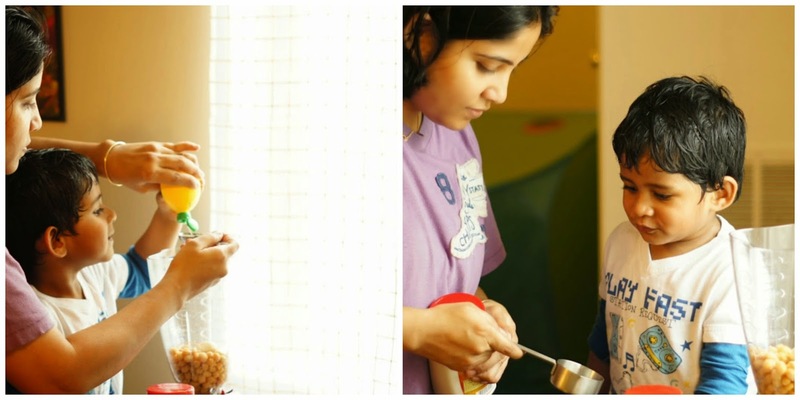 Tanusree, wonderful post, fabulous recipe and kudos to your son! What a great way to celebrate Food Revolution Day 2014 with our children! The most precious party about this Post, of course, was meeting your little guy for the first time. He is a cutie. My favorite photo of him is when he is smiling as he is watching the blender do its magic. You are absolutely correct that hummus is a magic mixture that needs to be in everyone's repertoire. That's how I felt about Tzatziki (which I made with my two "borrowed" teenage boys this week). You can do so much with these two spreads. Thank you for taking part in Food Revolution 2014. Very nice Post. Your little guy is so sweet Tanusree! You must be so proud of him helping you in the kitchen! 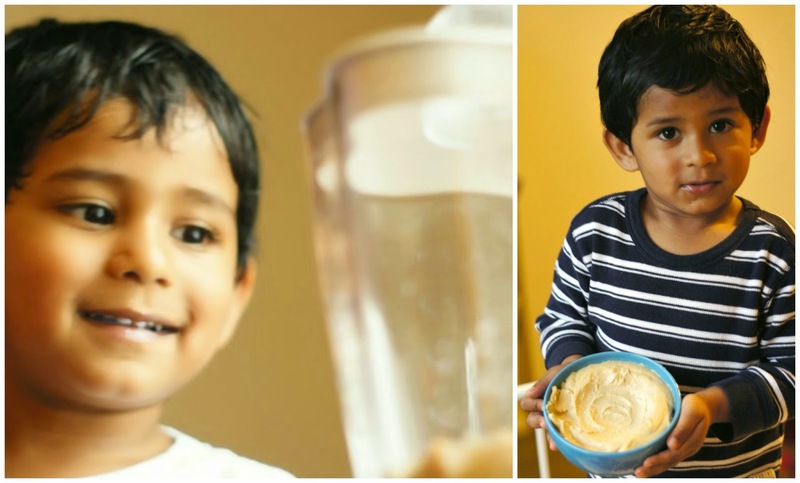 Hummus is the best recipe to prepare with a small child, easy, quick and it tastes so nice. The perfect recipe to get your little guy interested in food! Agree with everyone great photos. I agree with your love of hummus. Glad you were able to participate this week. Your son is just darling. And I think your hummus idea was a great one. I make this fairly often, and think it's a great go-to. And you two had such a delightful time together! Wonderful. 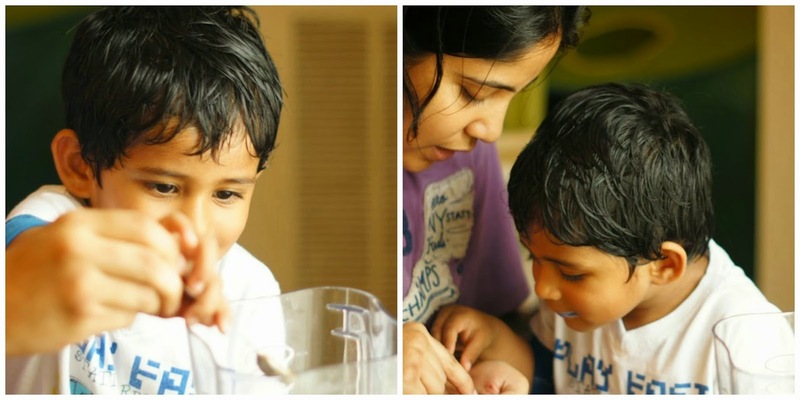 Great photos - such a lovely way to teach him about cooking. Hummus was an excellent choice, too. Your little guy is just precious!! Hummus one of my favorites and looks awesome! Thanks so much for sharing this great recipe with Full Plate Thursday and have a great week! I love hummus but have yet to try to make it myself. I'm definitely trying this! Hi Tanusree! I'm stopping over from Let's Get Real today. I am a volunteer Ambassador for Food Revolution Day so I am thrilled to see this post. Teaching kids to enjoy cooking is such a powerful thing to do for them. Opening up the world of cooking to a child helps them to make healthy food decisions that will last a lifetime. Thank you for your participation in Food Revolution Day 2014. I can hardly wait till next year! I love hummus, especially the homemade kind. Thanks for linking up to Sweet and Savoury Sunday, stop by and link up again. Have a great day! !